Just because workers are retired does not mean that they can’t still be proud, actively involved members of the United Mine Workers of America. Tens of thousands of retired coal miners continue to pay dues to the UMWA and remain a key part of the union. Dues-paying retirees can vote in union elections and elect delegates to the UMWA’s Constitutional Convention. 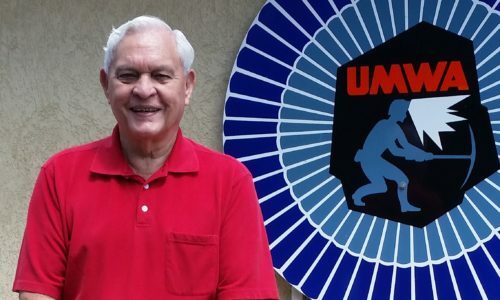 Their continued commitment to the strength and solidarity of the UMWA keeps our union one of the most united and militant labor unions in the United States and Canada. The UMWA is currently engaged in a fight to secure pensions for tens of thousands of retirees and their spouses. Retired union coal miners were promised retirement benefits by the United States government as a result of the Krug-Lewis Agreement in 1946. Now, with bankruptcies rising throughout the coalfields, those promised benefits are threatened as company after company takes advantage of bankruptcy laws written to protect the big banks and reward corporate executives while eliminating union contracts and retiree benefits. Click here to help the UMWA get the government to Keep its Promise.